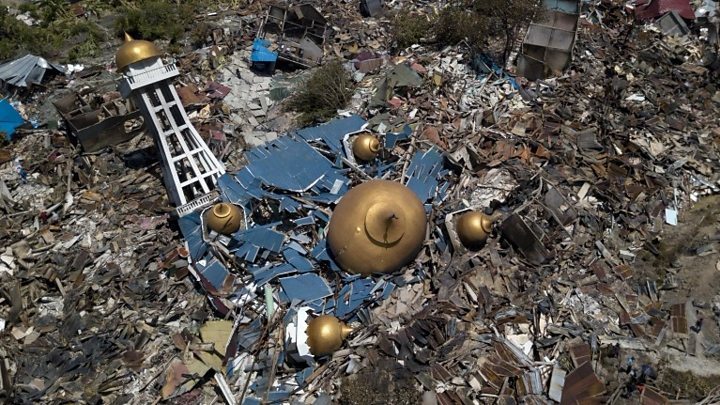 The number of people known to have died in Indonesia in Friday’s earthquake and tsunami has risen to more than 1,200, the country’s disaster response agency says. Everyone we meet in Palu is focused on trying to get basic goods for their families. All normal services in the town have broken down and there’s little running water, power, food or drinking water. People are desperate. The police tried to stop people taking non-food items – some were made to empty the sacks bulging with commandeered produce, and hand over plastic toys and toiletries. One officer wearily told me it was his responsibility to protect the shop – but what could he do when people needed so much? 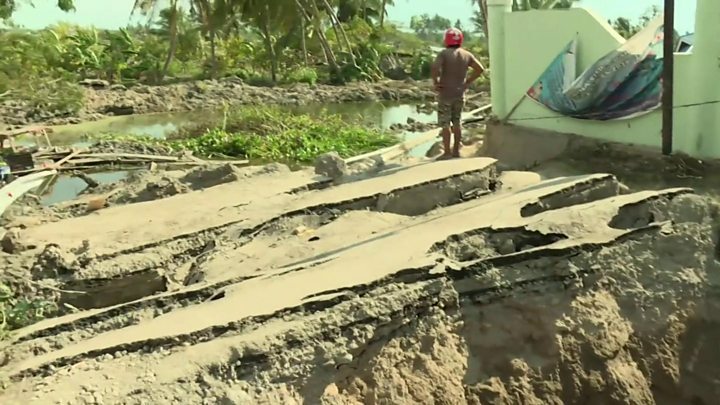 “The mud conditions in that area are terrible, we have to walk about 1.5 hours to reach [the mudslide area], that makes it very difficult,” Ridwan Sobri, a spokesperson for the Indonesian Red Cross told the BBC. An estimated 50 people were inside the Hotel Roa Roa when it collapsed. About 12 people have been recovered – only three came out alive. “We have to be very careful so we don’t risk hurting any survivors when we move the debris,” the head of the rescue team, Agus Haryono, told Reuters. “I’d get a plane anywhere. I’ve been waiting for two days. Haven’t eaten, barely had a drink,” 44-year-old food vendor Wiwid told Reuters news agency. The charity Save the Children says many of the children in Palu “will have experienced unimaginable trauma and distress”. “Losing their mother or father, and watching everything they have known washed away,” said the charity’s Tom Howells.